As health care costs continue to rise, individuals requiring emergency care are continuously in search of new ways in which they can reduce the costs of medical services. The most recent trend includes sick individuals calling Uber or Lyft to get to the hospital, rather than calling an ambulance. 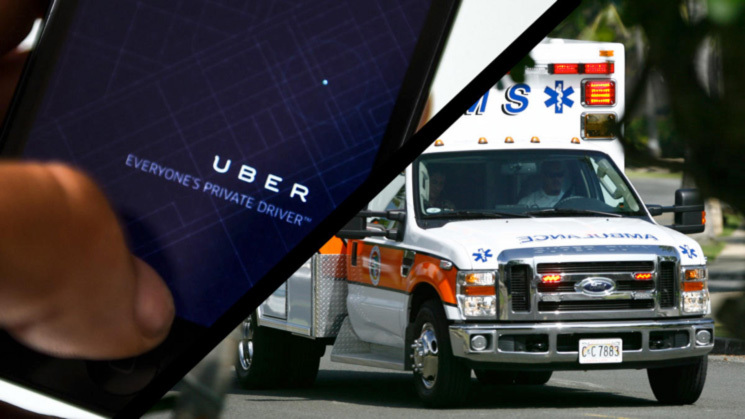 In a study conducted between 2013 and 2015, co-authors David Slusky and Dr. Leon Moskatel, examined how the creation of Uber impacted the usage rates of ambulances in 766 U.S. cities. When comparing ambulance use prior to the creation of Uber and ambulance use after Uber, the authors reported a significant drop in ambulance use after Uber entered the market. Although Uber has proven to be a cost-saving method for attaining medical care, many drivers do not fully comprehend the legal liability they are exposing themselves to when they agree to pick up a sick patient. Numerous drivers claim that they are truly concerned with the passenger’s health, and are unsure of whether they should call 911 or rush the passenger to the hospital themselves. However, it is important for drivers to understand that they are not liable if they do not pick up the sick passenger, but the moment the passenger enters the car, the driver becomes liable for any failure to provide adequate care. The driver becomes comparable to a proprietor conducting business, and therefore they owe the customer a duty of safety. However, when looking for deep pockets, the driver, most often, is not the source for cash. Rather, the larger companies, such as Uber and Lyft, will likely face lawsuits if something goes awry during an emergency ride. As stated by an Uber spokesman, “We’re grateful our service has helped people get to where they’re going when they need it the most…However, it’s important to note that Uber is not a substitute for law enforcement or medical professionals.” Uber and Lyft drivers must be aware of their legal liability when giving rides to the hospital. See Leon S. Moskatel & David J.G. Slusky, Did UberX Reduce Ambulance Volume?, Dep’t of Economics at the Univ. of Kansas (Oct. 24, 2017) (finding that UberX reduced the per capital ambulance volume by at least 7%). David Slusky is an assistant professor of economics at the University of Kansas and Dr. Leon Moskatel is an internist at Scipps Mercy Hopsital inSan Diego. Student Bio: Jocelyn is a 2L at Suffolk University Law School and is a staff member of the Journal of High Technology. Jocelyn holds a BA in Educational Studies from Colgate University.